A-HOTEL.com - Luxury and cheap accommodation in Ilyinskiy, Russia. Prices and hotel, apartment booking in Ilyinskiy and surrounding. 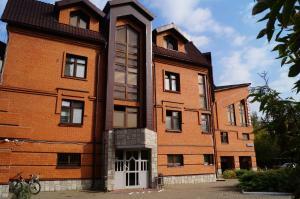 Golden Crown Zhukovsky provides air-conditioned accommodation in Zhukovskiy. All rooms feature a flat-screen TV with satellite channels and a private bathroom. Offering banquet facilities, a restaurant and event entertainment, Hotel Lina is located among tall pine trees in Zhukovskiy. Free WiFi and free parking with surveillance are available. Offering indoor pool, Hotel Kulon is located in Zhukovskiy, a 20-minute walk from the city centre. It features a sauna, and free Wi-Fi access is available. Прометей is offering accommodation in Zhukovskiy. Both private parking and free WiFi are available on site.